Make Your Own Handy Dandy Lash Key with Dropship Bundles! 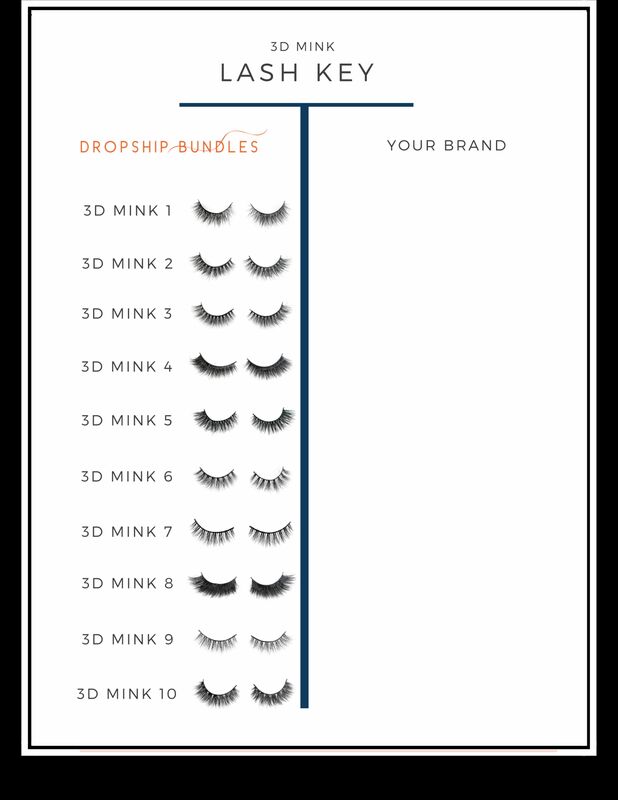 Dropshipping lashes just got a lot easier for you. Remember when we completely took out all of the names for our lashes and disguised them to more simple names? If you’re not exactly sure what we’re talking about, then refer back to this lash key article so you can be on board with us! It won’t take but a minute to read. Oh yes, and the lash keys! 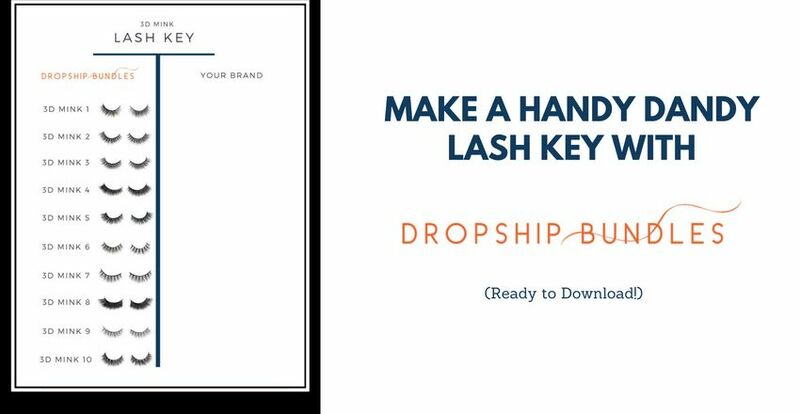 We made three super helpful lash keys to help our Dropship members refer back to the correct Private Label Extensions lash names. A light bulb sparked in our Dropshipping office, and we’re not sure why we didn’t come up with this idea earlier… but we’re sure glad this idea came to us now. How can we make this easier for you guys to place your lash orders with your new lash names? I mean, who really has the time to check on our website to see if your Kim K lashes match with our 3D Mink 2? 3D Mink 5? Sometimes, you just cannot think of it right off the top of your head. Plus, you’re a busy gal who has a whole hair company to run. We’re sure there are a million other things you need to get done like people to see, hair to sell, money to make! Time is one precious thing, and because of that, we wanted to make things easier for you when it comes to small things like this. Let’s take some load off your plate. Since we already have our own lash keys, we figured why not give you guys handy dandy lash keys as well? We really don’t mind sharing with you. Because at the end of the day, we’re all here to help each other become successful. 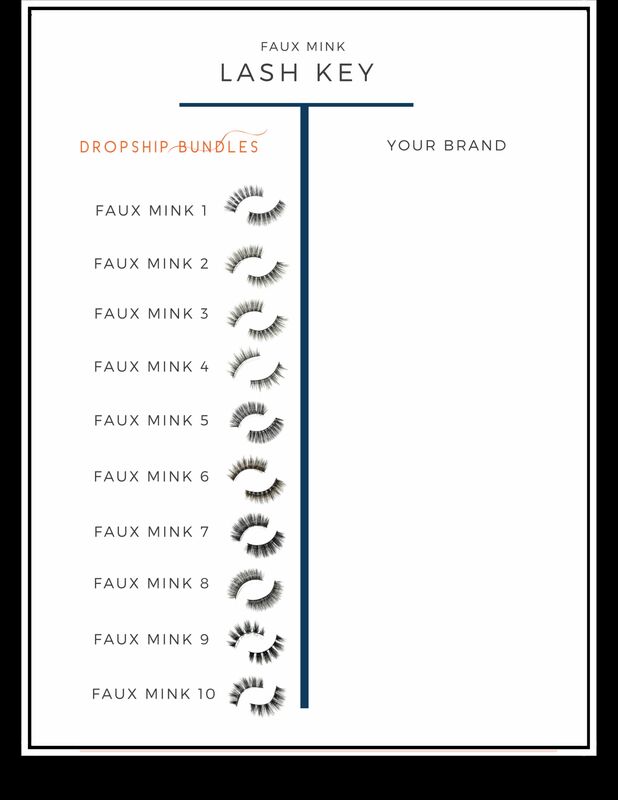 We decided to take our lash keys and get rid of the Private Label Extensions lash names that are on the right column and replaced it with “Your Brand” because, well, this is all about you after all. If you click on each “Your Brand” lash key image shown above, it will automatically download to your desktop. We have lash keys for all three of our lash collections: 3D Mink lashes, Thinline 3D Mink lashes, and Faux mink lashes. 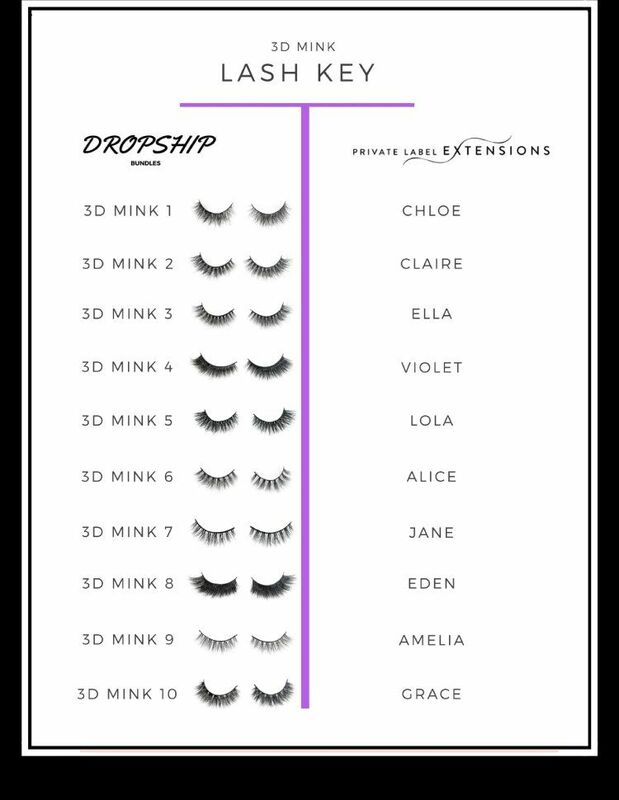 Now that you have your own lash key downloaded, you can print these out and write in your personal lash names! This will make things much more efficient for you when you place your lash orders with us because now, your lash names will now be corresponding with our Dropship Bundles/Private Label Extensions lash names. Trying to place an order but you’re having trouble remembering which lashes are what? Take out your handy dandy lash key! It’s amazing how something as small as a lash key can be such a game changer. Maybe even next level. If you want to know how to edit your lash key on Canva so that you can actually type in your lash name, then we can make a video tutorial on how to do that as well. We’ll definitely add that to our list of things to get done! You know we put in work here at Dropship Bundles! And we’re going to continue doing so so that we can all succeed in our business ventures. Also, if there are any other ideas that you guys think would be useful for your Dropshipping journey, then feel free to tell us! You can email us at service@dropshipbundles.com where we will be happy to answer your questions and read your input.